New research from North Carolina State University demonstrates that consumer-grade drones are effective tools for monitoring marine species across multiple sites in the wild. According to NC State, the work shows that the technology can be a valuable platform for scientists and conservationists interested in studying populations of sharks, rays, sea turtles and other marine megafauna. 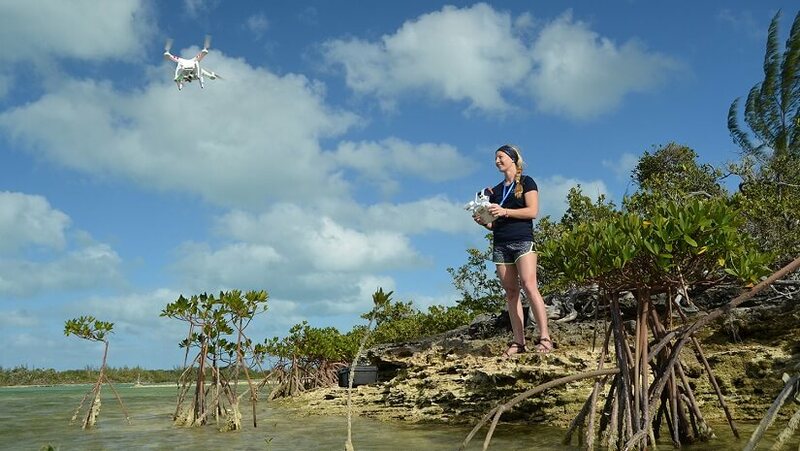 “We found that drones can be used to count and make species-level identifications of marine species, particularly in shallow marine environments,” says Enie Hensel, a Ph.D. candidate at NC State and first author of a paper on the work. “Demonstrating the viability of drones for this work matters because these are inexpensive tools for collecting accurate abundance estimates. And those estimates are important for both informing the development of conservation efforts and for assessing the effectiveness of those efforts. Rea more from Unmanned Aerial Online.